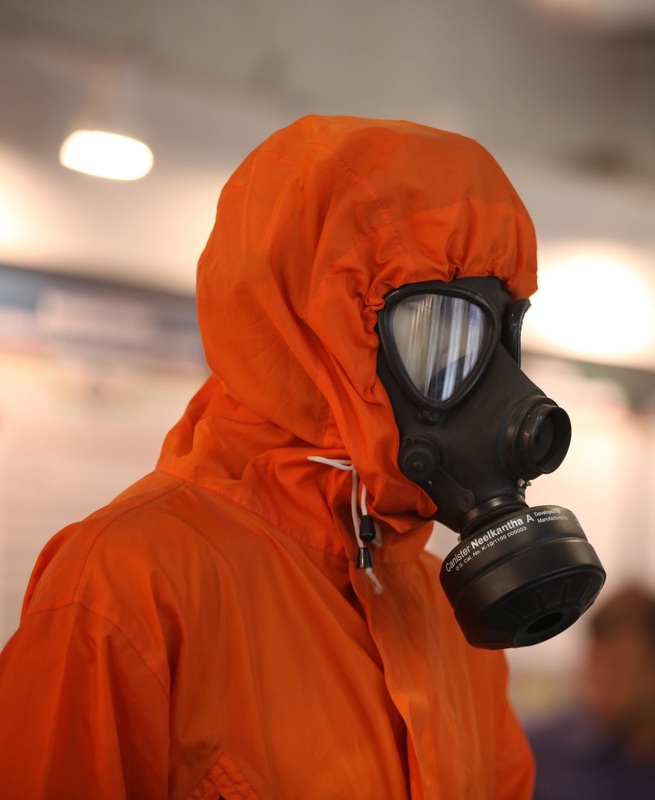 CBRN emergencies, which pertain to threats emanating due to Chemical, Biological, Radiological and Nuclear material, have become a reality with rapid industrialisation and technological advancements across the world. These may occur because of human error, accidental exposure, terrorist attacks and sabotage besides being triggered as a secondary disaster after an earthquake, cyclone, etc. Handling CBRN emergencies need specialised skills and efforts, and coordination among all stakeholders. Even a small CBRN related event can cause panic among people. CBRN disasters, though few and far between, can cause immense immediate as well as long-term losses to both lives and property. It is, therefore, important to ensure the preparedness and resilience of vulnerable establishments. Strengthening the capacity of local resources to swiftly and efficiently respond to such situations is critical to containing the losses. Conducting regular Mock Exercises is an effective way of achieving better synergy and coordination among the stakeholders. NDMA regularly conducts such exercises in its efforts to improve preparedness and response mechanisms for CBRN disasters. In January this year, on the request of Gujarat State Disaster Management Authority (GSDMA), it chose to conduct one in Jamnagar, Gujarat. Jamnagar falls under High Risk Seismic Zone – IV. It has various major accident hazard (MAH) units such as Reliance Petrochemical, Essar Refinery, Tata Chemicals, Gujarat State Fertilizer Corporation (GSFC), etc. "The vulnerability of the district increases manifold as huge quantities of hazardous chemicals are not only stored at these plants but also transported from jetty to the refineries and vice-versa, and even a mild earthquake can cause major damage and destruction," said Kunal Sharma, Consultant, Chemical Preparedness, NDMA. Add to that its coastal location and the risk of cyclones and tsunamis can also not be ruled out. Moreover, the district is just around 20 minutes of flying time from some air bases in Pakistan. The exercise began with a co-ordination conference on January 3 which helped participants in understanding the concept of Incident Response System and their roles and responsibilities. 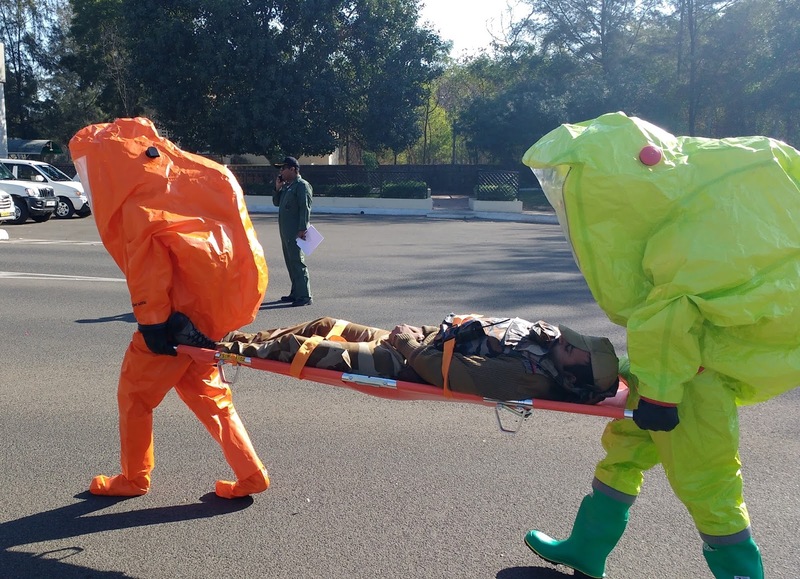 This was followed by a three-day training (January 15-17) of first responders by the National Disaster Response Force (NDRF) on the handling of CBRN emergencies and related equipment. At the table-top exercise on January 18, various disaster scenarios were discussed and responses were sought from the participants in the run-up to the actual exercise the next day. Multiple scenarios were simulated during the mock exercise to test the efficacy of the Emergency Response Plans of the district administration as well as the Industry. A Chlorine tanker was hijacked by terrorists, crashed into the main gate of the Reliance refinery and exploded. Another group of terrorists made LPG-fuelled explosions causing fire in the refinery. 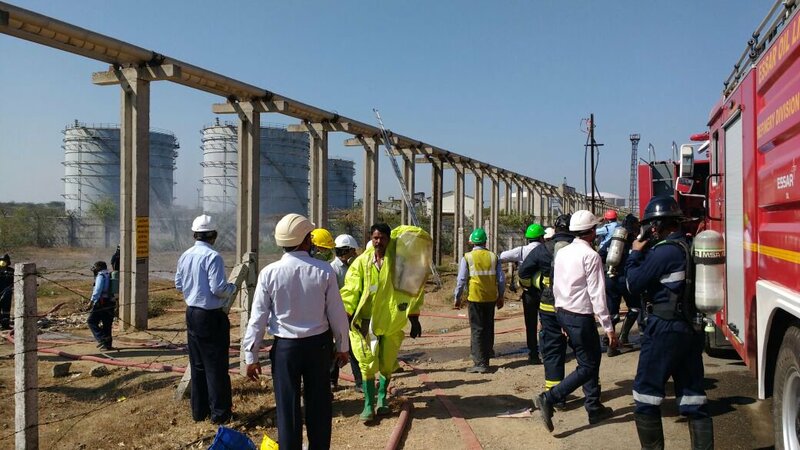 Simultaneously, an ammonia pipeline of GSFC was sabotaged outside the main gate of the Reliance tank farm. After about 20 minutes, two large explosions were reported from the nearby Sikka village. Also, the ammonia pipeline running through this village was sabotaged. The situations demanded both on-site and off-site response at the refinery as well as at the affected village. People had to be evacuated, transported to a relief camp and given medical support. The District Administration activated its EOC, mobilised their resources, launched an evacuation plan. "This needed coordination among different Emergency Support Functions as well as among the district administration, central agencies and the Industry. Mutual support plans were activated and all the stakeholders responded to the situation adequately," NDMA's Maj. Gen. V. K. Datta (Retd. ), who led the entire exercise observed. A detailed debriefing was done afterwards, gaps identified and ways to improve them discussed. "The exercise helped us in understanding our capacities and training all stakeholders to respond to emergency situations. It also helped in making the vulnerable communities aware about the risks as well as ways to reduce the impact of a disaster," said Shri Ravi Shankar, District Collector, Jamnagar. The exercise also served as an eye-opener, helped us fix the gaps and revise, upgrade and streamline our District Emergency Operation Centre (DEOC) and Standard Operating Procedures (SOPs), he added. The district administration now conducts a mock exercise on one or the other disaster almost every month. "We involve the industries, local people, central agencies present in the district in these exercises so that the responses are fine tuned with each exercise," he said.